We create a cinematic experience that is more like a feature film than a traditional wedding video. 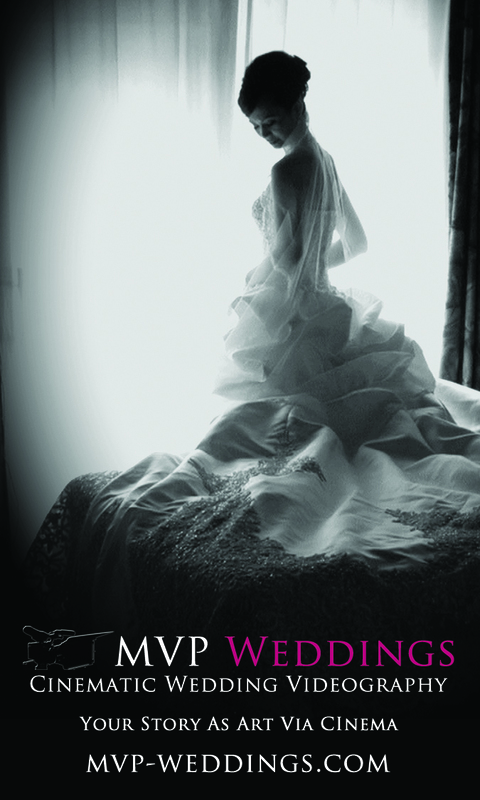 MVP Weddings, a company that specializes in cinematic wedding videography, will be one of the featured vendors at the Premier Bride Showplace. 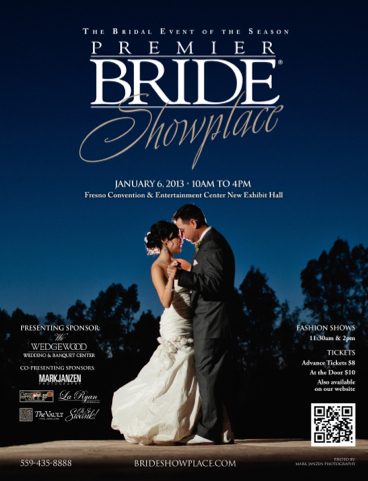 The Premier Bride Showplace will take place at the Fresno Convention Center on Sunday, January 6, 2013 from 10am to 4pm. The showplace is designed to provide brides with valuable information to help them with planning their wedding. As part of the showplace brides will enjoy elegant fashion shows featuring beautiful bridal gowns and meet some of the finest wedding professionals in the central valley. "We are very excited to be part of the Premier Bride Showplace," said Matt Martin, owner of MVP Weddings. "There were almost 700 brides at the show last year, and we love to meet couples and hear their stories. For each couple that we serve, we use the art of storytelling, cinematography, and editing to create a cinematic experience that doesn't just capture their day, it tells their love story and draws the viewer in to their relationship. We create a cinematic experience that is more like a feature film than a traditional wedding video." MVP Weddings will have a display booth where couples can see wedding films, sample chocolate, learn about different cinema packages and pricing, check availability for their wedding date, and reserve their date. MVP Weddings creates beautiful wedding films for couples that tell their love story artistically through cinema. The company tells the story of who the couple is, how they fell in love, and the beauty of their relationship. The result is more like a feature film than a traditional wedding video. Matt and Susan Martin, the owners of MVP Weddings, moved to Fresno in 2011 and established MVP Weddings after eight years of digital video production experience in the San Francisco Bay Area. MVP Weddings provides wedding cinema services throughout the Central Valley, Los Angeles, Sacramento, and San Francisco areas. MVP Weddings is available for destination weddings. The Premier Bride Showplace is a bridal show that will be taking place Sunday, January 6, 2013, from 10am-4pm at the New Exhibit Hall of the Fresno Convention Center. Under one roof, brides will find more than 120 of the Central Valley's most elite vendors for their special day. Brides can find Gowns, Photographers, DJ's, Limos, Event Planners, Florists, Videographers, Venues, Bakeries, Honeymoons, Caterers, and enjoy elegant fashion shows at 11:30am and 2pm. Tickets are $8 in advance and $10 (cash only) at the door. The Fresno Convention Center is located at 700 M Street, Fresno, California 93721. The Premier Bride Wedding Center is a one stop wedding planning shop for brides. It's located at 7075 N. West Avenue, Fresno, CA and is open daily.